down and read the book. I have to say it was a pretty darn good book. make sense at the time will be clarified later in the book. in which he’d written the entire sordid tale. needed to be and the ones that aren’t, well, there’s a reason for it. the book and you’ll see. The sequel to I am Number Four is just as thrilling and action packed as the first. John, Sam, and Six set out as fugitives and work to find the others as we meet Seven. Seven is also known as Marina and lives in a convent/orphanage in Spain while she convinces her Cepan to rejoin the fight and develops her legacies. 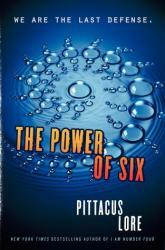 Complete with numerous battles, close escapes, incredible powers, and fun characters, The Power of Six is an excellent read for any middle or high schoolers. 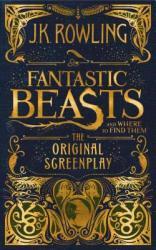 After finding myself slighlty underwhelmed by the movie; the book proved a welcome change. 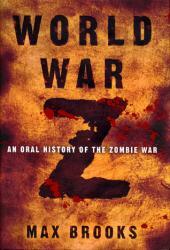 World War Z manages to capture the spirit of the zombie apocalypse trope while still remaining original. The story is told through chronological, short, personal naratives and expertly paints a large picture of disaster while continuing to feel intimate. People in the story act realistically and despite revolving around a fantastical event, the book always seems like a series of believable recounts. The story replaces continuous characters with a narrative of humanity as a whole and the reader become invested in this larger concept. Overall, the book is an entertaining read and completely worth the time. 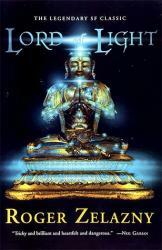 Lord of Light, winner of the 1968 Hugo award for best novel, is a fascinating excursion into a expertly crafted science fiction world involving both Hindu mythology and the struggle to free humanity from the oppressive rule of false gods. This book is exciting as well as thought provoking and an overall interesting read. The characters are well flushed out, the setting is both believable and fantastical, and every instant of the book engaging. For those not familiar with Zelazny's writing style, the book may become confusing at certain points. However, the reader is never lost completely and can easily catch back up with the story. This book is a must read for those interested in the science fiction genre. 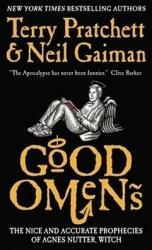 Good Omens is humorous take on Armageddon and the final battle between Heaven and Hell. Complete with an angel and a demon, who get along better with each other than with their immortal counterparts, two witch-finders, Satanic Nuns of the Chattering Order of St. Beryl, aliens, and an eleven year old Antichrist, Good Omens takes a completely different take on the Apocalypse. All predicted by a witch that lived 300 years ago, Good Omens is full of sarcasm, humor, fun, and adventure along with a moral that tells us to look for the good in everyone, even demons. I highly recommend this book for any high schooler or adult looking for a little bit of humor in life. 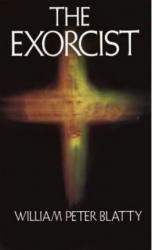 One of the greatest horror novels of all time, The Exorcist was a genre-defining piece of literature. It's story has set the precedent for horror, and is the novel that essentially invented the modern possession in horror. It's story follows Chris MacNeil as she struggles to get help for her daughter, who has been possessed by a powerful demon. 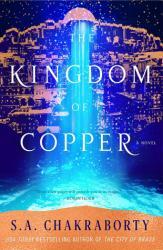 The book is intense; it moves at a breakneck pace, and is truly terrifying. What makes it scary is the premise: someone you love being invaded by an unknown being that you do not understand. This idea is consistent throughout the whole novel -- in the first half or so, her condition is thought to be scientific in nature, but is soon proven to be false. What do you do when you have a problem, but do not know how to fix it? This question is concurrent with the novel, and forces us to face humanities greatest fear: the unknown. I would highly recommend this novel to horror fans, or anyone who is looking for a truly terrifying read to keep them up at night. Wade Watts, a high school student like any other, starts his journey off in the slums of a world on the verge of economic and social collapse. In an attempt to escape the seemingly bleak world, many turn to the Oasis, an augmented version of virtual reality where the impossible is possible and people can become something other than what they are in the real world. The creator of the Oasis meets his untimely death due to a terminal illness, and in turn leaves behind his fortune and most prized possession, control of Oasis. The catch is, all you have to do is find his little “Easter Egg” within the vast world of the Oasis by finding keys linked to his favorite pastimes, such as old arcade games. It having been a long time since the announcement of this and now leads found, very few still pursue the egg. Wade Watts is one of them. 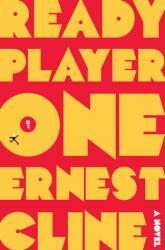 After discovering the first key on an online school’s virtual planet, Wade and the many others he meets along the way race to find the egg before the other hunters and the huge corporation, IO; in this science fiction world designed by Ernest Cline. 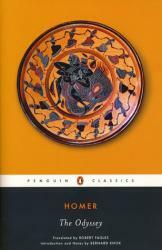 I greatly enjoyed this book due to the vast worlds within his virtual one that he has illustrated for his audience. Darrow was captured and his identity revealed, the leader of the Sons of Ares was killed, and now the future of rebellion looks bleak. Darrow, now in a state of grief and failure, his body withering away as he waits for his execution, is rescued and given a second chance to realize Eo’s dream; to topple the corrupt society that stole everything from him. Now the leading force and face of the rebellion, Darrow has many struggles that await him in the final book in the Red Rising Trilogy. I greatly enjoyed this book due to how the many underlying plots are tied off in the end of the series as well as the resolution of each character’s internal struggles. 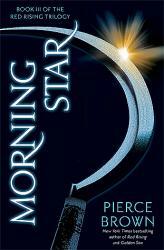 Pierce Brown builds on many previous sub plots that as the reader you might forget, marvelously tying this book in with the rest of the series. 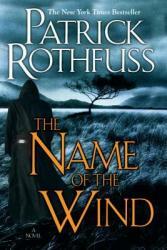 Patrick Rothfuss’ The Name of the Wind is a beautifully written coming-of-age tale about a boy named Kvothe, a member of a group of traveling performers, and his journey towards becoming a master namer. Experiencing intense hardship and sorrow at a young age, Kvothe is forced to become strong and fend for himself. Eventually, he escapes his life of pain and charms his way into the world’s greatest academy of science and magics where he gains many friends and just as many enemies. With his trusty lute in his hand and his quick wit, Kvothe is ready to take on any threat his ugly world has to throw at him. 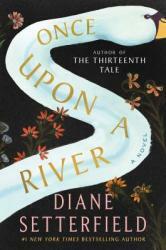 I know by now there isn’t much that hasn’t been said about Diane Setterfield’s latest offering, Once Upon a River, but I want to add my two sense. There is a reason why Setterfield’s beautiful haunting stories have touched millions since she first came out with The Thirteenth Tale, several years ago. The simple reason is, her books use the art of story as a medium to express to the heart, truths that words alone have not always been able to accomplish. Stories have a way of creeping up on you and taking root in the heart of the reader by the author being able to take everyday experiences and ideas, such as love, loss, and beauty and bring them to an emotional level, making them more real. And sometimes, a story, to fully germinate, takes time and patience; and knowing not only the characters, but its environment and history intimately. And that’s ok, it makes reading them, when they are finally available, that much more satisfying. That is why I am such a fan of Setterfield’s works! She has a way of enveloping her characters in the power of story, and produces such a strong relationship between the characters in her stories and their environment! And Once Upon a River is no different. It uses the medium of story to forge a relationship between the environment of the Thames river and the community living on its banks, to weave a tale that strongly evokes the searing pain of loss, the beauty of love, and the hope of reunion. The premise is simple. One wintery night a man, stumbles into a local tavern of a small English town on the river Thames, with a mute girl, who at first appears dead. What follows from that incident is a wild, haunting story that is weaved day in and day out, and changes and flows like the Thames river it is set upon. As the girl, appears mute, the mystery as to where she came from deepens, as several villagers claim her as their own missing daughter, or sister. The characters include every villager and every villager is included in this story. As the tale develops, it is clear how her arrival builds up hope in some, and compounds the searing loss for others, but the truth, later revealed, is not so simple. Filled with haunting prose, drawing upon local and international folklore, strong character development, from the most minor character to the most central, and a beautiful story of love, loss, and reunion; Once Upon a River is a great feat in modern storytelling. Part mystery, part fairytale, and part legend. If you love any or all of these elements, you need to pick up this beautiful tale today! Thank you to the publishers and #netgalley for my DRC for review! book takes a repetitive approach with its character arcs, almost as if writing for children who need the point constantly driven home. In the end, I’m mostly just disappointed at what this book could have been instead of what it was. I’m not sure if there’s a minimum page count/word count for fantasy books, but The Warded Man seems to be an interesting novella, padded out with tons of unnecessary backstory—or at least backstory that could be covered in a relevant line or paragraph when needed. 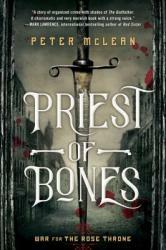 I did like the concept and the magical system in this book. Heck, I thought the naming scheme for the minor characters was also quite brilliant. I just can’t bring myself to suggest that people slog through over 450 pages of story that could have easily been covered in 150. If you are interested in a somewhat original fantasy story, you can literally pick up the book at the beginning of Part 3 and read to the end, and you won’t miss much (if anything, you won't get some establishing details). This was also exacerbated by the fact that at least one of these characters didn’t have an interesting story until Part 3, so it was a bit annoying to have to jump over to his story when I’d much rather read about the other two characters. As it’s written right now, many of the characters’ motivations are repeatedly brought up in similar situations, so all the first part of the book does is delay these three characters’ inevitable meeting. 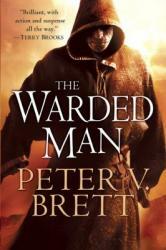 A great concept for a novella with a ton of backstory tacked on the front, I give The Warded Man 3.5 stars out of 5. Brandon Sanderson has done it again. The first two novels in this series were already amazing in their own right, but the finale novel of the trilogy is by far the best. The story has once again been improved, with Vin and the crew battling against a literal god, Ruin, who hears and sees everything they do or say. If they do not conquer over him, he will destroy the world. Aside from the main, overarching plot, there are also several smaller side plots that are all intriguing and exciting. Along the way there are several plot twists and epic moments that keep the reader guessing and hungry for more. The ending of the novel is quite sad, but provides a satisfying conclusion to one of the best fantasy trilogies ever. I would recommend this to anyone who has read the first two novels. 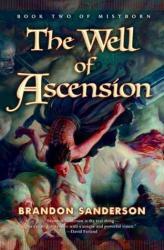 Where Mistborn told a tale of political intrigue, revolution and overthrowing a dictator, the second novel in the Mistborn series, The Well of Ascension, builds upon an already enthralling first book. This novel supplies the reader with a bigger, more intriguing, more grandiose story, more suspense, and more action than before. 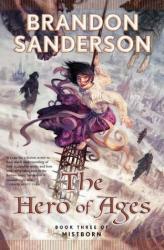 Brandon Sanderson has done an incredible job with fleshing out each character in a unique way, and creating an amazing story. The story itself follows Vin, Elend, and the rest of their crew as they attempt to find the Well of Ascension, which is said holds the power required to stop the world from being destroyed. The ending this book builds up to is truly unexpected, and was a brilliant plot twist by Sanderson. 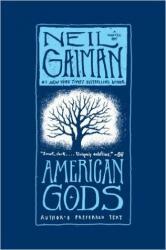 I would highly recommend this book if you have read Mistborn. H.P. Lovecraft is commonly known as one of the titans of horror, one of the pioneers of the genre who influenced people such as Stephen King, and has even inspired several video games, such as Bloodborne. 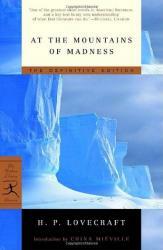 At the Mountains of Madness is considered Lovecraft's magnum opus, his best work to date. It is a novella telling the story of a small group of geologists, aviators, and explorers who travel to Antarctica in search of unique rock specimens. While there, however, they encounter several horrors, including unearthing ancient specimens known as Old Ones, a decadent, purely weird city built by the Old Ones themselves, and even giant albino penguins. 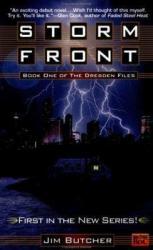 This novella is truly horrifying, as the suspense Lovecraft is able to build through usage of the setting is gripping. If one is looking to begin reading Lovecraft books, this one is a great entry point, as it introduces the reader to the Old Ones, the Necronomicon, and even Cthulhu himself. I would recommend to anyone who loves horror novels, or anyone who wants to read Lovecraft. 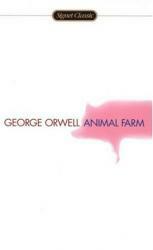 "Animal Farm" by George Orwell is about a seemingly normal farm that turns against their farmer. The animals take over the farm with the help of their leaders who are pigs. After all the humans are gone from the farm they continue under the rule of the pigs and create a system of rules to follow as a guideline for their new life. Everything goes well until one of the pigs, Napoleon, uses the dogs he trained to remove the other leader, Snowball, from the animal farm. With Snowball gone Napoleon takes complete control of the farm. He alters the rules made by Snowball, abuses his power, and makes poor decisions that negatively affect the other animals. One of their rules/guidelines was that humans were evil and not to be associated with. Napoleon breaks that rule many times starting with making a trade of wood with another farm run by a farmer. They get scammed from the exchange with the human, but that doesn't stop Napoleon from dealing with humans. He goes to the extent of not telling the fellow animals the truth and putting all pigs above everyone else. From there things get progressively worse until Napoleon eventually befriends the humans along with the other pigs. They become so much like the humans that it gets to the point that the pigs are basically humans. I would recommend the book. "Animal Farm" is interesting and in my opinion is in a sense satire, so I really enjoyed it. I read this book because I was planning on reading 1984 by the same author for a BTS theory and wanted to read other books by George Orwell. I kind of could relate to some of the animals because when they disagreed with Napoleon they brought up good points, but no one listened to them. The ending is very surprising and the book isn't predictable.